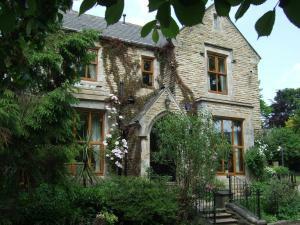 Situated in Littleborough in the Greater Manchester region, Cottongrass Cottage has a garden. Guests staying at this holiday home have access to free WiFi. Leading onto a patio, the holiday home consists of 2 bedrooms and a fully equipped kitchen. The bathroom is equipped with a bath. Manchester is 26 km from the holiday home, while Leeds is 55 km from the property. 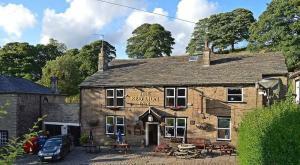 The nearest airport is Manchester Airport, 47 km from the property. When would you like to stay at Cottongrass Cottage ? This holiday home has a oven, washing machine and kitchen. One well behaved Dog welcome Please inform Cottongrass Cottage in advance of your expected arrival time. You can use the Special Requests box when booking, or contact the property directly with the contact details provided in your confirmation. In the event of an early departure, the property will charge you the full amount for your stay. This property will not accommodate hen, stag or similar parties. This property is located in a residential area and guests are asked to refrain from excessive noise. Each day we'll check prices and send you an email for your selected dates at Cottongrass Cottage. If you don't have specific dates but would like to check prices for say next weekend or say next month we can check the price too. Click to write a review and share your experience of Cottongrass Cottage with other travellers.